Does going the airport make you nervous? Try going through security with Revolutionary Guards looking out for you. Set in 1979, Argo opens as the US Embassy in Iran is being overrun during civil unrest. While most of the Embassy staff is taken hostage, resulting in the well known Iran Hostage Crisis, six employees manage to escape and take asylum in the Canadian Embassy. The CIA brainstorms a plan to extract the six from Iran by posing as a Canadian film crew on location scout. Sending extraction expert Tony Mendez (Ben Affleck) to create the credentials, an elaborate production of a Star Wars rip off titled Argo is devised. The final segment of the film depicts the “film crew’s” attempt to escape from Tehran, which is both tension-filled and clearly embellished for effect. Much of the film's enjoyment comes from watching it unfold, and it would be a shame to spoil too many specific plot details here. Suffice to say, the film follows the general beats of actual events but is not beholden to the specifics. Despite the opportunity for director, producer and star of the film, Ben Affleck, to dominate the screen with AffleckCam close ups, the rest of the large ensemble cast gets a chance to breathe. The CIA/Hollywood team (Bryan Cranston, Alan Arkin, John Goodman, at al.) and the fugitives (Tate Donovan, Kerry Bishe et al.) all get opportunity to add some level of nuance to their characters. Since Argo covers a lot of ground and has such are large cast, there isn't a lot of time for 'character study' unfortunately. 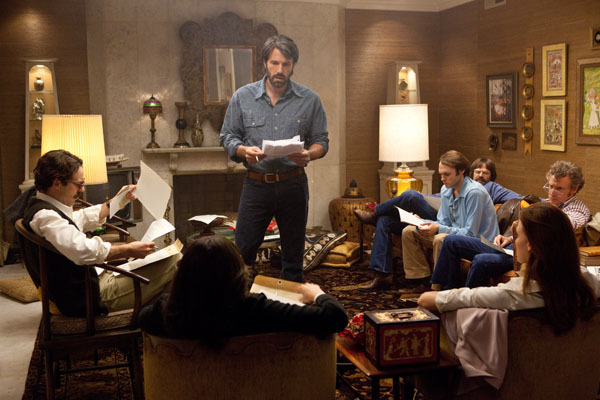 Everything in Argo, from its characters to its themes, is done in broad strokes, with the occasional telling background detail. At the end of the film several of the characters remain ciphers despite solid, even great, acting. 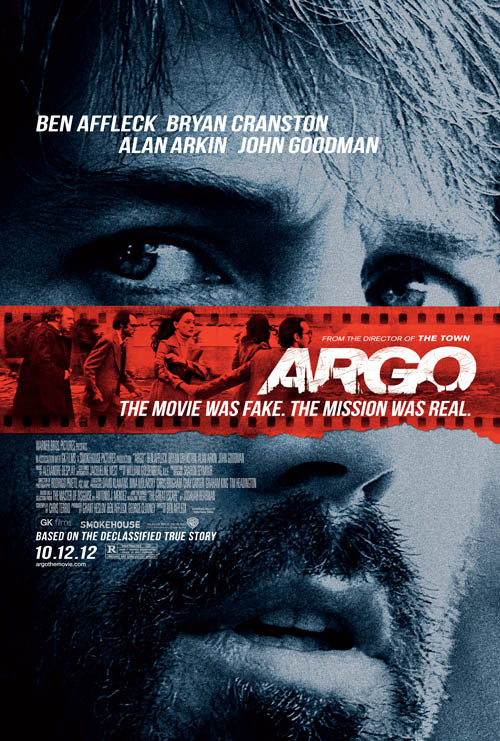 Argo has become, regrettably, topical with the recent events in American Embassies. Though the events of 1979 and 2012 surround different players and international issues, the general image - upset protesters surrounding a US Embassy - remain the same. Despite this, the film is surprisingly apolitical and politically correct for what could be a minefield of outrage from any number of groups. Argo has streamlined the very complex world of international affairs, and there is always give-and-take of how much dramatic license is “okay.” Embellish too much and the film becomes misleading. Become too bogged down in detail, and the drama may suffer, and the material would be better suited as documentary. While Argo may help bring a broad awareness of the Iranian Hostage Crisis and the so-called "Canadian Caper," it's doubtful that the film offers any insight into international relations beyond its set up. In fact, the film has more (good natured) jabs at the Hollywood system than at international affairs. If there ever was a case to use middlebrow in a positive sense, Argo would be it. It is a solid, effective thriller and an occasionally humorous Hollywood farce, but Argo doesn’t offer insight to what makes its players tick. Argo is written by Chris Terrio based on Tony Mendez's autobiography The Master of Disguise and The Great Escape by Joshuah Bearman.